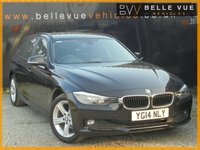 Another exceptional car from Belle Vue Vehicles, prepared meticulously to exceed even the highest expectations from our customers. 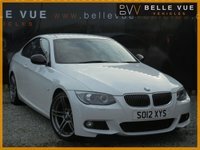 This is our stunning 2013 BMW 6 Series Gran Coupe finished in Alpine White with contrasting black leather interior. this car will go through an extensive pre delivery service entailing a 60 point check, this car will come with upto 12 MONTHS WARRANTY for total protection and also subject to a full AUTOGLYM valet. 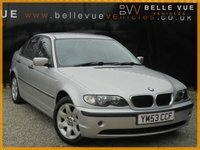 Own this vehicle for as little as £100 deposit and £355 x 60 - ask for a tailored quotation. 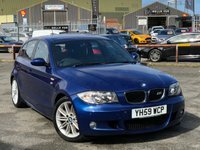 This vehicle has covered 56k miles by its 1 former keeper, the vehicle has FULL BMW HISTORY and comes with a pre delivery service carried out in our specialist workshop. 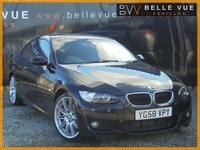 Specification of this vehicle includes Professional Satellite Navigation, Bi Xenon Headlights, 18'' Alloy Wheels, Leather Interior, Heated Leather Seats, Memory Seats, Cruise Control, Bluetooth Phone, CD Player, DAB Digital Radio, Front & Rear Parking Sensors + much more. We are experienced finance specialists, part exchange up or down welcome, FaceTime consultation available, reserve any vehicle with a small deposit, Text BVV to 66777 for part exchange or finance quotes. 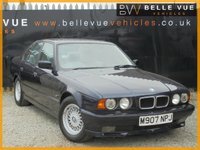 Call our experienced sales team now on 0191 270 0011 or visit www.bellevuevehicles.co.uk for more information. FaceTime consulation available, Finance Quotations on Request, Part Exchanges Price Given, Reserve For a Small Deposit, Call now on 0191 270 0011.